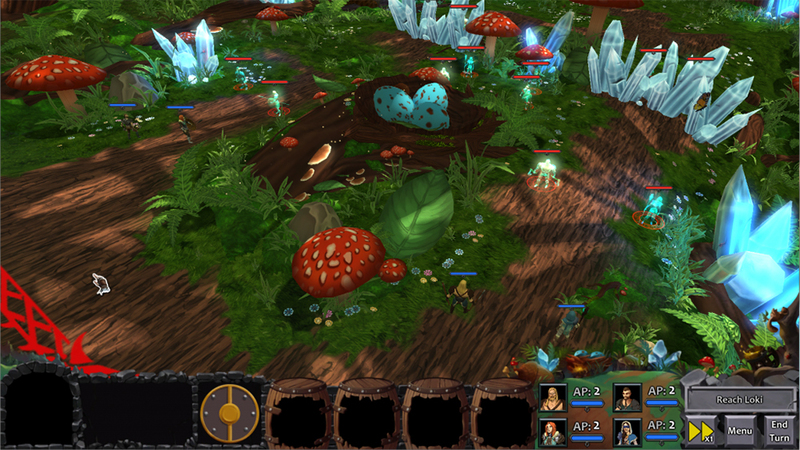 Midgard Saga is an isometric tactical role playing game with radial movement. Based loosely on Norse mythology, players control a group of four vikings on their quest as they climb from the mortal realm, Midgard, to the realm of the gods, Asgard. 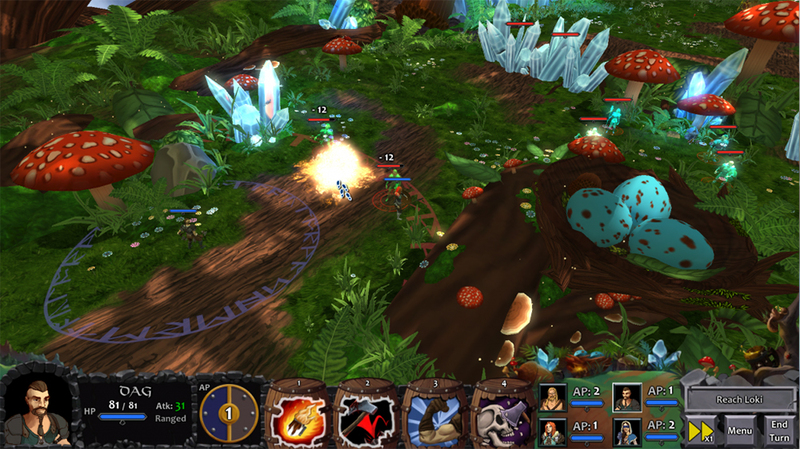 Featuring five unique environments, each with a different challenge, and four characters with 25 unique abilities, Midgard Saga boasts significant replay value as players find new strategies with each playthrough. 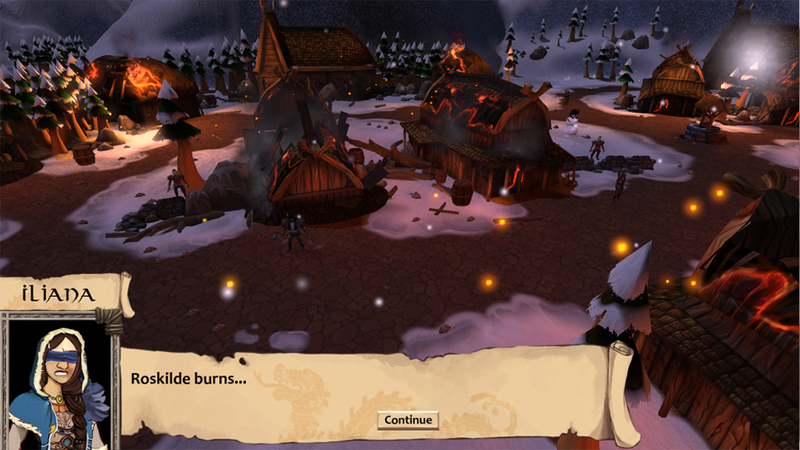 Designing maps and decorating them was a unique challenge on Midgard Saga. It was my first isometric style game, and I had never worked with a fixed camera angle before. For every other game I've worked on, the scenes and play spaces had to be 100 percent decorated and sealed. Changing my design paradigms to fit the fixed camera angle was difficult at first, but proved to be an interesting challenge. My world building talents were tested when we decided to do 5 unique environments for the game, one for each level. While I did not build every map wholesale, I contributed greatly to each one, and immediately found my favorites and grew to loathe others. For example, I now understand why there are very few games that feature playable levels in the boughs of trees. Creating believable and playable areas that are seemingly organic and wild is incredibly time consuming and difficult. We redesigned the level that takes place in Yggdrasil four times due to this and other reasons. Another particular challenge was switching gears from wildly differing environments, like going from the Gates of Asgard back to the Tavern or the Temple of Odin. I had to switch from big, epic set pieces to understated modularity. It was a great training tool, but for the first few months of development it was very difficult. As we neared the middle and end of development, I got the opportunity to use the material and particle editors for a few levels, greatly expanding my abilities in Unreal. Understanding the power of material instance constants is more empowering than I'd have thought in the past. 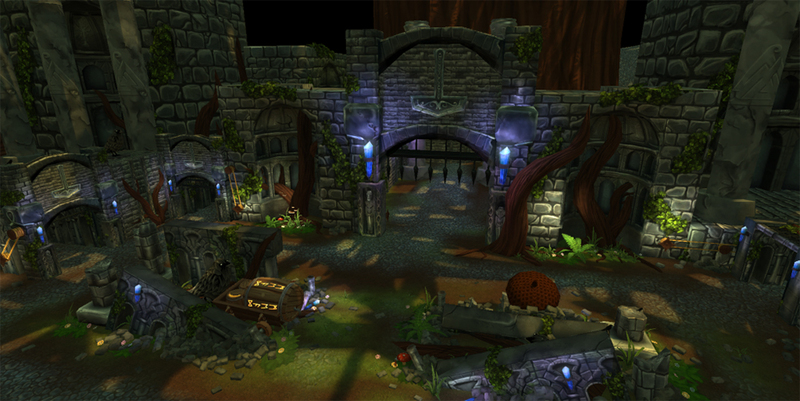 Lighting was something I'd dabbled in in previous projects and games, getting a cursory understanding in the process, but after my time lighting every single level of Midgard Saga, I understood lighting dramatically better. I never would have known the answer to a shadow problem had I not figured it out in the level previous. Working with other designers working in the environment was a new experience for me as well. My team was very good at what they did and often inspired me to go in one direction or another and I inspired them back. I really feel that we made the best environment that we could have for Midgard Saga, and am deeply proud of our accomplishments.